This week Nicole Cooke announced her retirement from professional cycle racing. I am not sure if she will do one swansong final race for her fans. I don't imagine she's likely to though. When fellow British riders Emma Pooley and Victoria Pendleton announced the end of their cycle racing careers there was a chorus of "what a shame, we're sorry to see you go." There seems to have been mixed reactions from people in the cycling community. Some folks made general platitudes about bidding goodbye to a champion. However many people have commented about how she will not be missed from the peloton. One journalist described his interview with her as being "by far the worst ever interview of his career by country mile." It us true that she does not like being interviewed. I remember sending her some email questions for a short feature I was writing on women's cycling and she failed to answer more than half of them. Respondents generally answered most questions in those days, so it was a turn-up for the books to see lots of blank spaces! She was not known for getting on well with her fellow team mates, and often changed teams. At one point she had no team to race in at all. There was definitely an element of self-centredness and self-importance about her that people reported - I guess that is part and parcel of becoming a champion. In no way was this egoism shown more when she fell out publicly with GB teammate, Lizzy Armitstead over which rider would be the team leader during the World Cycle Racing Championships in 2011, and even there were discussions in the run-up to the 2012 Olympics. 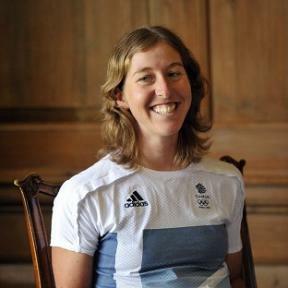 While other Team GB cyclists were involved in public initiatives to encourage cycling or even just making public appearances to fans Nicole Cooke, did no such thing, preferring to stay in her ivory tower, training I guess. Even her retirement statement has been criticised. Why couldn't her statement have talked more about the positive aspects of her road racing career, including winning gold at Beijing, becoming World Champion and being ranked no.1 in the UCI rankings for a time. Instead her statement was turned into a blistering attack on drugs cheats, in which she speaks in an embittered way about how she missed out on more success (and money) due to the activities of her doping contemporaries. She also talked extensively about the plight of women's cycle racing and how a lack of funding has led to the removal of many key races from the women's racing calendar and professional female cycle racers struggle to make a living. Such condemnation of disgraced road racers and calls for investment in women's cycling are not impertinent - on the contrary. But why did Nicole Cook not mention any of this earlier? Why wait until she's walking out of the room to say all this? Rather than it looking like someone who has genuine concerns over the state of professional cycling, it has the appearance of being the words of an embittered, weary athlete full of angst over a lean trophy cabinet. This does not make Nicole look good. That is a shame. Notwithstanding the negative comments and publicity around Nicole, I'd still prefer to remember the positive things she's done. I have a wonderful memory of Nicole Cooke crossing the finish line in front of her competitors in the pouring rain at Beijing in 2008, to win Britain's first Olympic gold medal. She then followed this up with a World Championship title in a thrilling finale that same year. 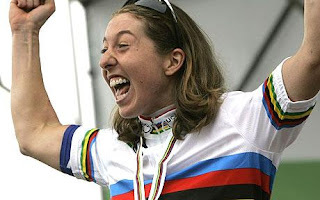 I also remember the excitement at Nicole winning the biggest women's stage race in those days, the Giro Donne in 2004, as well as winning the women's Tour de France in 2006 and 2007. Even as a youngster Nicole had success where no other female had been before - being the first girl to win a national youth cycle championships, as British Cycling did not have categories for young women. I even remember her turning out at Lancing Leisure Centre one grim November afternoon in 2003 to the spectate at a local cyclo cross race. Nicole cheered us all on as we slid around the muddy field in Sussex. These are the memories I'd like to keep of Nicole Cooke. 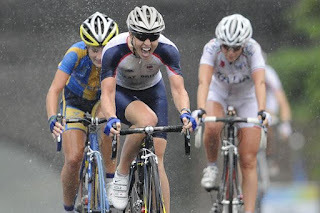 People may not feel great warmth towards her, but it can't be denied that her succeses on the national and international stage has blazed a trail for Britsh women cyclists - and for that, we can salute her. Thank you, and All the best, Nicole.